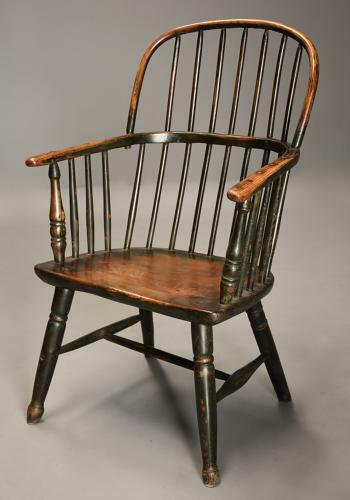 This chair consists of a hoop back with hand drawn spindles leading down to the arm bow with further spindles attached and two turned arm supports. This leads down to a well figured solid elm shaped seat supported by turned legs, these being joined by an H-stretcher. This chair is in excellent original condition, is of stable construction and can go straight into a home.